An even bigger boost however, happened when Ben showed Locke a videotape of Charles Widmore and his thug limo driver dragging and kicking the crap out of a blindfolded man they had seemingly kidnapped. When Locke asked Ben who the blindfolded man was, Ben replied that it was one of his men that had been unfortunate enough to get caught. While this is possible, and the blindfolded man did look a bit like Richard Alpert who’s been absent all season, I think it looked even more like Desmond—fitting perfectly with a simulation sub-theory. 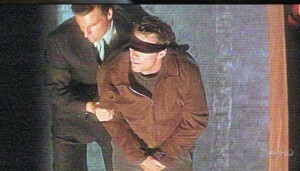 The sub-theory regarding Desmond was that Widmore used Libby to trick him into going into the simulation. Perhaps before doing this, Widmore roughed him up a bit, threatening him to stay away from his daughter Penny. Or, maybe this was how they got Desmond into the simulation—they kidnapped him, beat him up, then strapped him into the simulation with a feeding tube and a bedpan. While some Lost fans believe that the blindfolded man was killed, I don’t think so. If you are going to kill someone, there are a lot of easier ways to do it than beating him up and kicking him. Ben tells Locke that Widmore is the owner of the boat stationed off the island, and that he’s been trying to find where the island is. This would likely make Widmore “the economist” referenced in the earlier Sayid-centric episode. What’s really going on according to the simulation theory? 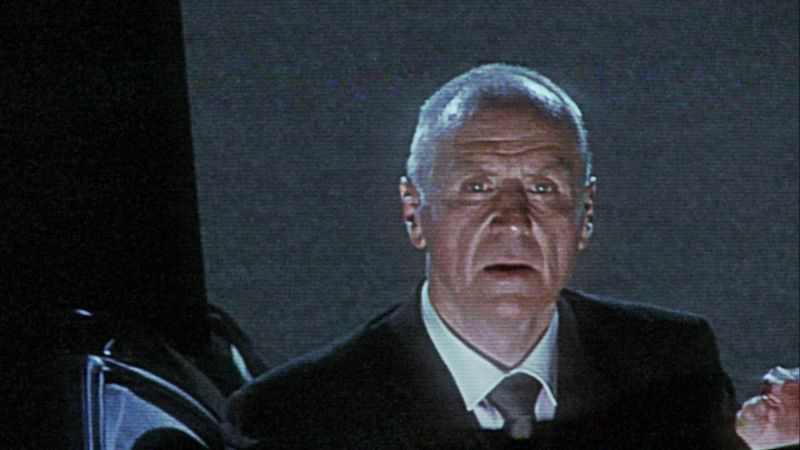 I’d say that Widmore was financing the DHARMA research that had been taking place within the simulation program until Ben took it over for his own selfish purposes. Who’s good or bad? It’s likely not clear-cut. That’s just another thing Lost teaches us—no one is all good or bad and it all depends on your perspective and the bigger picture. I think they are both trying to do what they think is right, just from different viewpoints. 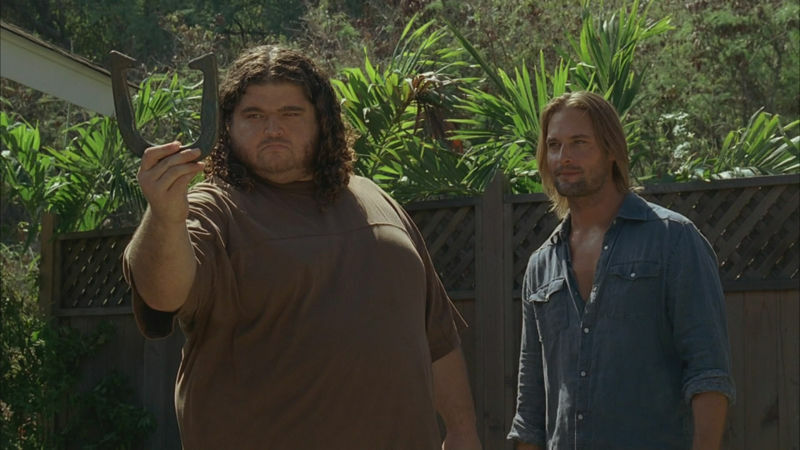 The episode ends with a seemingly uneventful game of horseshoes between Hurley and Sawyer. Somehow, Hurley beats Sawyer, telling him that he guesses he’s just lucky. Symbolically speaking, horseshoes are known to be good luck. With Hurley beating Sawyer at the game, it would seem that has luck has indeed changed, prompting him to even realize it himself. Why would this happen? 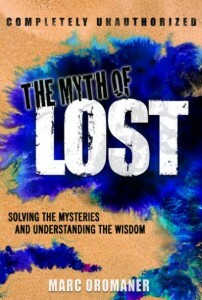 As explained in The Myth of Lost, Hurley went against his lazy nature and took a leap of faith by starting up the DHARMA van. He later used it to save Jin, Bernard, and Sayid who were being held captive on the beach. Having succeeded in this, Hurley now believes himself to be lucky, and his life is following suit. Using the principle of the Law of Attraction, this is exactly how things work in the real world—our thoughts create our realities.